On September 19, 2018, Shanghai police arrested Min Yinlong, former director of the Center for Forensic Science at East China University of Political Science and Law (ECUPL), on suspicion of insurance fraud. As a leading authority on forensic appraisal, Min, 68, has handled more than 30,000 cases. His downfall not only came as a shock to judicial circles in Shanghai, it exposed the degree of corruption and collusion in the appraisal sector nationwide. Established more than 30 years ago, ECUPL’s Center for Forensic Science is one of the first eight appraisal institutions approved by the Ministry of Justice. To date, the center has provided over 60,000 appraisal certificates, 99.9 percent of which served as evidence in court. Shanghai Judicial Bureau launched a crackdown on collusion between the city’s appraisal centers and accident agents for faking or exaggerating injuries in order to extract higher compensation payouts from insurance companies.Shanghai Longxiang Law Firm specializes in accident claim settlements. In June 2015, a man surnamed Huang, who is deaf, came to the firm for a consultation after he was injured in a traffic accident. A firm employee claimed Huang’s deafness was a result of the accident, despite being fully aware of his preexisting condition. The employee asked Zhu Longfu, head of Shanghai Jinman Legal Consulting Company, to conduct the judicial appraisal. Zhu, a former employee of the Center for Forensic Science at ECUPL, faked the appraisal report and signature. Shanghai Longxiang Law Firm and Huang later obtained 860,000 yuan (US$124,000) from the insurance company, of which plaintiff Huang received 290,000 yuan (US$41,740). In June 2016, the employee at Shanghai Longxiang Law Firm and Zhu similarly exaggerated injuries for a traffic accident victim surnamed Gu. In China, severity of injury is rated on a scale of one to 10: the higher the number, the greater the payout from insurance companies. The firm and Zhu increased Gu’s injury degree to six, a decision that eventually resulted in a 520,000 yuan (US$74,800) settlement from the insurance company. However, Gu’s share was 150,000 yuan (US$21,500). Established in 2013, Shanghai Jinman Legal Consulting Company mainly handles medical judicial appraisals. Min Yinlong was a former legal representative, chief investor and supervisor of the company. According to the National Judicial Appraiser and Appraisal Institution List (Shanghai), from 2013 to 2017 many company employees previously worked for the Center for Forensic Science at ECUPL. The company, however, disappeared from the 2017-2018 list released by the Shanghai Judicial Bureau. Many of the company’s employees later found work with the Center for Forensic Science at ECUPL. In the area of forensic appraisal, accident agents are the most important players in the chain. Since 2005, accident agents working on behalf of victims have become increasingly professional. Agents usually have a keen nose for accidents. They first gain the trust of accident victims, learn their medical histories and then convince them that, with an agent’s help, they could profit from the accident. By exaggerating or faking the degree of injury and colluding with appraisers, agents can seek higher compensation payouts from insurance companies and other parties involved. In Shanghai, while compensation for traffic accident victims is capped at 1.36 million yuan (US$195,000), insurance companies have to pay an additional 136,000 yuan (US$19,500) on average for each increased injury degree. Statistics showed that Shanghai has the most insurance institutions among Chinese cities. From 2009 to 2013, however, insurance companies in the city reported high loss ratios, of which compensation for traffic accidents made up a very large proportion. According to the Shanghai bureau of the China Insurance Regulatory Commission, Shanghai’s total insurance compensation payouts exceeded 52.8 billion yuan (US$7.6b) in 2016, 1.71 times higher than in 2013. In a September 2018 article, Zhu Yanchao, a lawyer with the Shanghai-based Zhuping Law Firm, called for a crackdown on the rampant collusion between accident agents and corrupt appraisers, which he argued created a complete profit chain and damaged the credibility of judicial appraisal. 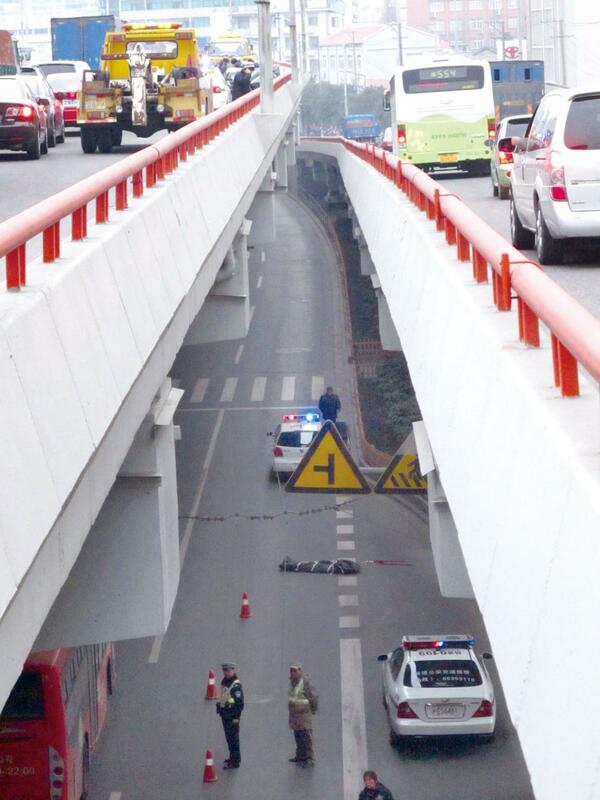 Currently in China, accident appraisers can be chosen by either the victim, law enforcement or the courts. Zhu argued that a victim’s ability to choose appraisal centers on their own has given plenty of room for agents to cash in on the market. A worker at the anti-fraud center of the Shanghai Insurance Association told our reporter on condition of anonymity that agents are not fraudsters but rather a characteristic of the market. It is accordingly difficult to rein in their activities because they work in a “gray zone.” He added that compensation cases for traffic accidents are usually complicated and lengthy. Victims are probably not aware of the entire process. This enables agents to play an increasingly active role. Dong Huzhong, another lawyer based in Shanghai, told NewsChina that once a case enters the litigation phase, the court will normally make a judgment based on the appraisal report, the content of which it cannot change. “The court has to trust a third party to provide appraisal authentication, which has an immediate impact on the judgement,” he said. The Shanghai Judicial Bureau recently partnered with local high courts, prosecutors and police to crack down on illegal agent activities. They have checked more than 1,000 appraisal reports that violated regulations and held suspected agents accountable. In 2005, the Standing Committee of the National People’s Congress, China’s top legislator, reformed the country’s judicial appraisal mechanism by ending the monopoly of courts and procuratorates. As a result, social judicial appraisal centers sprang up nationwide. Statistics from the Ministry of Justice showed that China was home to 4,338 judicial appraisal institutions and 49,498 appraisers by the end of 2017, dropping 10.96 percent and 8.67 percent respectively over the previous year. Tang Weijian, a law professor at the Renmin University of China, said in a recent media interview that management loopholes coupled with fast-paced commercialization have made the sector a breeding ground for corruption. Chang Lin, former dean of the Institute of Evidence Law and Forensic Science under the Chinese University of Political Science and Law, argued in a recent article that following the judicial appraisal reforms, many appraisal centers suffered from a shortage of staff, with most registered appraisers either retirees or part-time workers. Chang said that many part-time appraisers not only lack a background in forensic science and medicine, they also do not receive systematic training. What’s more, the threshold of entry for an appraiser in forensic medicine is low. According to Chang, any clinician can obtain forensic credentials with 80 hours of training. According to Li Xiangnong, head of Pushi Partners, a law firm based in Shanghai, it is time to introduce a punishment and withdrawal system targeting appraisers and judicial appraisal institutions. Another major problem plaguing judicial appraisal is that appraisers rarely appear in court as witnesses. In 2017 alone, there were only 16 public prosecutions where appraisers served as witnesses in Shanghai courts, and there is no legal liability if they refuse to appear. In addition, there are no standards for fees. Take the judicial appraisal of mental damages as an example. The Judicial Appraisal Center of Fudan University’s Shanghai Medical College charges a 3,500 yuan (US$500) fee, while the Center for Forensic Science at ECUPL charges 5,000 yuan (US$720). In July 2018, Shanghai Judicial Bureau released a working plan to improve and rectify the city’s judicial appraisal sector. The Shanghai government has also added the Shanghai Judicial Appraisal Regulation to the list of legislative programs of 2018.